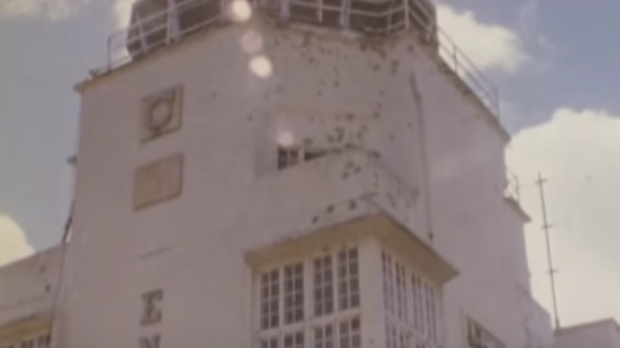 The control tower at Entebbe airport, pot-marked with bullet holes. Thirty-nine years after Prime Minister Dom Mintoff banned the screening in Malta of Raid on Entebbe, a new film about the brilliant Israeli operation to free hijack hostages is to be actually shot in Malta, as well as in the UK. Mr Mintoff had banned the film Raid on Entebbe reportedly at the behest of Libyan leader Muammar Gaddafi. He had defended his decision in Parliament, saying the film glorified the violence of those who did not respect the integrity of an independent state. Operation Thunderbolt was carried out on July 4,1976. A few days earlier, on June 27, an Air France plane carrying 248 passengers, many of whom were Israeli, was hijacked by members of the Popular Front for the Liberation of Palestine. They demanded that Israel free 40 Palestinian militants from its jails. They also wanted 13 other prisoners freed in four countries. The flight, from Tel Aviv to Paris with a stopover in Athens, was diverted to Entebbe in Uganda where dictator Idi Amin welcomed the hijackers and protected them. The hostages were moved to an airport building and 148 non-Jews were released. As the hijackers threatened to kill the hostages some 100 Israeli commandos were secretly flown 4,000km to Entebbe in a number of aircraft. They landed at the airport and in a 90-minute shoot-out released the 102 hostages and crew. All the hijackers, three hostages and 45 Ugandan soldiers, were killed. The only Israeli commando killed was Yonatan Netanyahu, brother of the current Israeli prime minister. The freed hostages were flown to Israel on the same planes that ferried the commandos. Before leaving, the commandos destroyed 30 Uganda Air Force aircraft, thus ensuring they were not shot down on the way back. The new film, Entebbe, is being produced by Working Title Films of the UK. According to The Knowledge website, Rosamund Pike, Daniel Bruhl and Vincent Cassel have been mooted to star in the film. Jose Padilha (Narcos, RoboCop) directs from a screenplay by Gregory Burke.